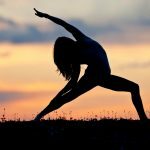 Description: Our Seasonal Yoga & Nutrition Day Retreat for Late Summer is designed to energise, support and strengthen your body and mind through specially designed grounding Vinyasa flow & nurturing Yin yoga classes, pranayama (breathing work) and relaxing meditation techniques. As well as yoga, we’ll be telling you about the best foods to eat at this time of the year including local foraging tips and a raw cookery workshop. Our Late Summer Retreat will include a variety of methods that focus on the centring energy of the Earth Element and the nourishing organs of the season – the Stomach, Spleen and Pancreas – with plenty of information shared about how we can support, strengthen and heal our bodies though seasonal living and yoga. We will provide seasonal information about our bodies, lifestyle and holistic health tips as well as cooking you a tasty lunch and snacks that are gluten and dairy-free. 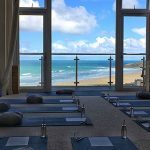 All yoga and meals are held in our tranquil studio in Newquay with stunning and unobstructed views over Fistral beach.